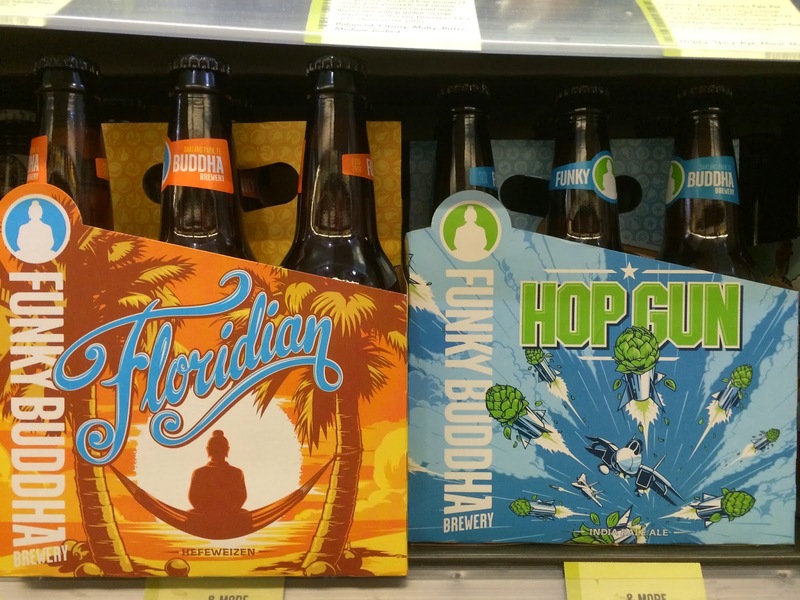 Funky Buddha started selling their Floridian Hefeweizen and Hop Gun India Pale Ale in bottles just a few days ago. I splurged for one bottle of each since I've had both many times on tap. But big step for the brewery--congratulations. I mentioned on Twitter buying them at Total Wine, and this chick asked me where she can buy the beer--of course I totally created a solution. This review is about Floridian. Hop Gun for another time. 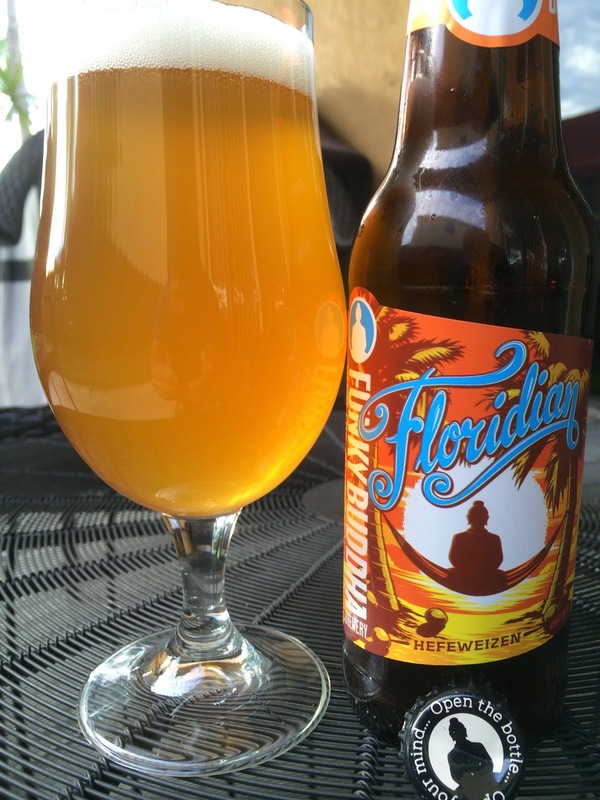 According to the label, Floridian is a "Suntan for your soul!" 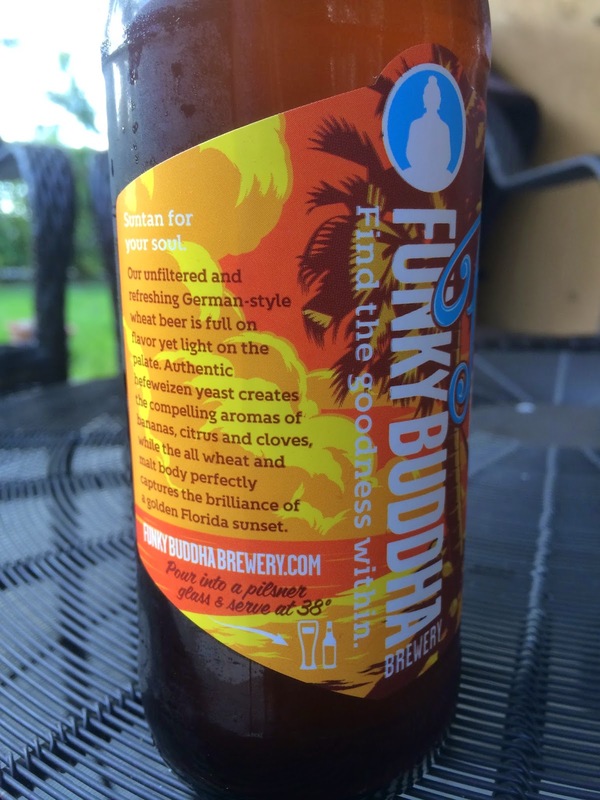 The label depicts the Funky Buddha "logo Buddha" on a hammock at the beach watching the "brilliance of a golden Florida sunset." Stay Funky: Recycle. 5.2% alcohol. Pour into a pilsner glass at 38°F. 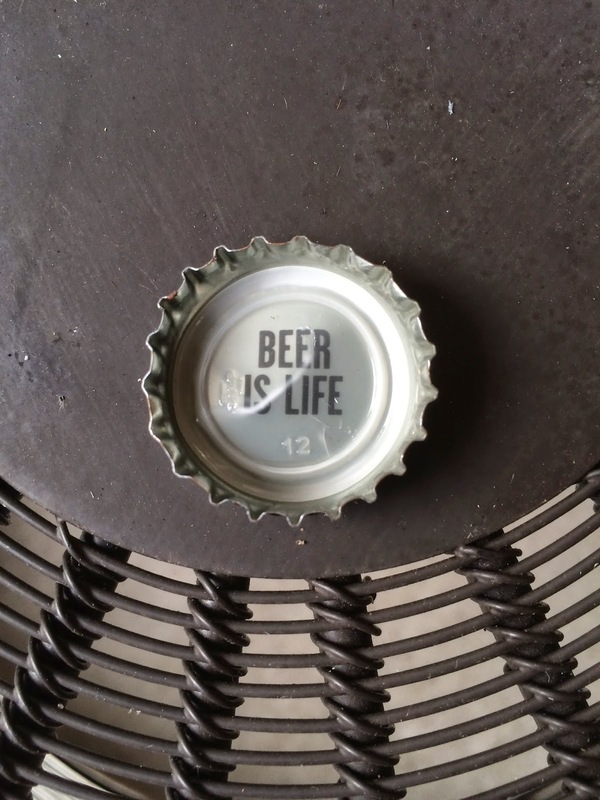 Under the bottle cap it says BEER IS LIFE. Orange and banana aroma, with some spice. Big fruity orange flavors, sweet and citrus. Spicy cloves add some interest. Wheat and yeast are prominent. Body is a little chewy with some lingering sticky sweetness. Good beer. Funky Buddha will do awesomely with this now out in the market in bottles.